We want to thank you for your continued business. So we've put a loyalty program into place that rewards you with a Steeda Point for every Pound your spend. Joining our loyalty program is free of charge and starts automatically. Your Steeda points are calculated from the total order amount including VAT but excluding shipping fees. All Products we sell are elegible to earn points, not just our own Steeda products. When you've accumulated 500 points, you'll receive an email informing you of your earned discount. STEEDA UK Ltd reserves the right to modify the terms and conditions of the loyalty program at any time. 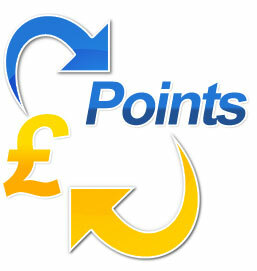 Please note the system does NOT currently support adding "review bonus points" automatically, so please remind us if you need some points credited!